Blitz (The Ambassador) Bazawule is viewed as a visionary Ghanaian-American musician and filmmaker based in Brooklyn, New York. He is always trying to break new ground and this film can be seen as ground breaking. Seven years pass but all is not well, Kwabena cannot let go or forget what his brother has brought upon him. His stolen love and happiness is gone as he watches his brother’s life move on. 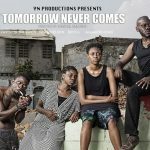 As he dwells on his loss Kwabena conceives a plan to get rid of his brother by making him suffer for what he has done. His plan is to burying his brother in one of the open mine shafts where they both work sifting for gold then and letting him feel the darkness that he has been feeling for so long with little light to see him through. Kwabena lures Kojo to an abandoned mine, knocks him unconscious and leaves him in the shaft to die. 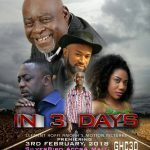 However, Kojo is left and must find a way to survive, in the meantime Kojo’s wife who has always been suspicious of her brother in law gets the help of a weary and troubled detective to try and find her missing husband. Can they find Kojo in time will Kwabena be of any assistance? 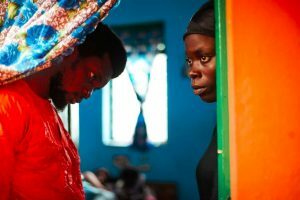 The Burial of Kojo is not a frenetic but moves along at a pace with some great visuals to keep you engrossed. At times the film feels more akin to a play rather than something that should be on the big screen. The characters work well especially the detective. As expected Blitz Bazawule with all his creative flair has made a film that is very pleasing to the eye with the user of colour and a pulsating sound track which really helps draws you in. However, away from this story is something much deeper narrative and meaning that these characters in their pursuit to destroy each other revolve around. The two brothers are involved in Galamsey which is word used to describe the illegal gold mining in Ghana. Like the 2006 film Blood Diamonds staring Leonardo DeCaprio and Djimon Hounsou set in Seria Leone which tells the similar tale of how western luxuries a fought over in African countries and the exploitation that takes place. This film tries to bring to light the growing concerns around illegal gold mining in Ghana by unregulated Chinese mining gangs.It can be said that the consequence of the illegal gold mining does not not just leave environmental residues but it has far reaching due to the increasing use of violence which is being used by the miners to acquire lands and how they uproot villagers and cast villagers to fight each other over land disputes. These new foreign invaders mainly Chinese are bringing new levels of violence and exploitation to Ghanaian villagers in their selfish pursuit of gold. The Burial of Kojo provides just a glimpse into the reality of illegal gold mining and the organised gangs that operate in an almost lawless vacuum. 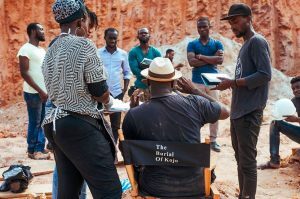 Like the 2006 movie “ Blood Diamond” the director of Blitz Bazawule has tried to use a simple tried and tested narrative to draw viewers into a far more serious issue that is gripping small villages in Ghana. Just because you do not see it does not mean it is not there. 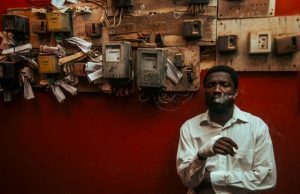 The new form of colonialism that is taking place in Africa perpetuated by the Chinese is hard to believe and at times hard to grasp in this movie. As we all know the Chinese are working hard to build new infrastructure and progress many African countries but at the same time as they give with one hand they are taking with another as armed and violent gangs work hard to exploit what they can out of Africa. 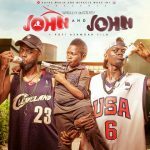 This movie opens in December 2018 and will be showing in SilverBird Cinemas in Accra as will as some international venues. Blitz as done well to try and bring this issue to light. But at times we at viewGhana think he may have done well with a straight forward documentary. But hey in this age the Instagram, twitter, and Snapchat generation we have to use a number of of mediums to break their 30 sec attention span. So if you have got to the end of this review, leave a comment support Biltz and and share.